Please note that rates and availbaility are currently only available upon request. Please call our reservations team on 01243 514970 to arrange a quote for you. 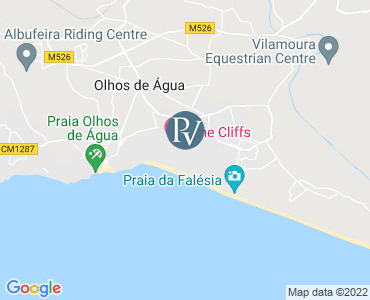 The new Pine Cliffs Ocean Suites and Spa, a Luxury Collection Resort, has a total of 148 luxury apartments near the spectacular Algarvean coastline, adjacent to the Pine Cliffs Golf Course. A perfect combination of a luxurious and classic style of the Portuguese culture and the glamour of the luxury collection. Generous in size and smartly furnished, The Ocean Suites consist of one and two bedroom premium suites with outstanding self-catering facilities, and also the Junior ocean suites studio rooms (which do not include kitchen facilities). Just as the Junior Ocean Suites are arranged for ease of living, so too are the one and two bedroom Ocean Suite options, which also come with fully equipped kitchen, a dining area and lounge providing a relaxing space with comfortable seating. The amply proportioned bedrooms are furnished with signature Luxury Collection beds and are fitted with floor-to-ceiling windows that fill each room with natural light. Each master bedroom adjoins an oversized en suite bathroom, stylishly fitted with spacious bath, luxurious rainfall shower and an ample collection of custom-blended amenities. For further details regarding the resort facilities, please click on the 'Extra Details' tab above. Framed by an idyllic landscape of manicured gardens and rocky cliffs overlooking turquoise waters, and infused with the clean scent of pine trees, five outdoor swimming pools—including one dedicated to children—refresh, entertain and keep active within the safe perimeter of the resort. An additional indoor pool kept at constant temperature all year long offers a relaxing escape from the outside world. The resort features 2 Health Clubs, equipped with the latest technology in fitness equipments, sauna, Jacuzzi and massage & body treatments "a la carte". The Resort's Personal Trainer can also assist in getting maximum results in minimum time with a tailor made program, working with a Personal Trainer is one of the fastest, easiest and most successful ways to improve your health and fitness. Guests at the Pine Cliffs Residence Resort may enjoy daily breakfast, lunch and dinner at O´Grill, where exquisite Mediterranean meals are expertly prepared with fresh, local ingredients. In a serene setting boasting an open terrace overlooking the picturesque golf course and glistening pool, the restaurant offers a menu of healthy grilled options and imaginative seafood creations. In addition to O’Grill, the Sheraton Algarve Hotel offers 12 restaurants and bars easily accessible to guests via short walk or complimentary train. Explore a range of incredible flavours and textures, from rosemary-brushed lamb chops with basil pesto at Corda Café, to mouth-watering chicken couscous and traditional lamb tajine at Aldar. For a sampling of Algarve's renowned specialties, try the cataplana, a delicate sauté of clams, chorizo and tomatoes, at O Pescador, then order a glass of amarguinha, a liqueur made from sour almonds, at Portulano Bar. For a romantic evening whose memory you will forever cherish, lounge at the terrace of the Mirador Champagne Bar at sunset, and enjoy the superb carte of Champagnes and fine wines from all around the world while taking in the magical views of the Algarvian coast. Porto Pirata is a special place for younger children, aged between six months and 12 years. Developing over an enclosed area of 7000 square meters, this children's activity centre contains two wooden boats, a swimming pool and another pool for remote control boats, a recreational terrace, an 18-hole mini golf course, a bouncy castle, a bike track and a basketball and volleyball court. Porto Pirata's trained assistants offer a daily entertainment program to ensure unforgettable holidays for your children, packed with moments of joy and fun. One of the country's most original golf courses built in a pinewood at the edge of spectacular cliffs, overlooking the beautiful beaches of the Algarve and the Atlantic beyond. This nine-hole course is not very long - only two holes run to more than 360 meters - yet, despite this, it offers a real challenge regardless of handicap. Architect Hawtree's main concern was to keep the natural surroundings as it was before the course was built. The perfectly kept course opens with two undemanding holes, but the challenge gets tougher from the third hole - a Par 4 for which the drive must go through a narrow gap between pine trees. After the fifth hole one can enjoy the crown of the jewel: the Devil's Parlour, a Par 3 with a championship tee built over a ravine that requires a 205 meter carrying shot right over the beach to land on a deep but narrow green. The Golf Academy includes a state-of-the-art indoor teaching bay with swing analysis cameras and software, as well as group room facilities for video analysis, a lounge area and shaded driving bays. Further the academy features a driving range designed as 9-hole course with target greens, 2 putting greens, a separate chipping and bunker practice areas. Recently renovated 5 floodlit tennis courts; two clay courts & three all weather hard courts. Located on the grounds of the neighbouring Sheraton Algarve Hotel, the ATP standard courts are managed by two full-time tennis pros along with a team of friendly staff happy to arrange matches for solo players as well as fun clinics to guests of all ages and skill levels. Falesia Beach, one of the longest stretches of golden sand beach in all of Portugal, is accessible from the nearby Sheraton Hotel by a private panoramic elevator or stairs. Sun beds & parasols free of charge are available, as well as water sports in the summer season. The Beach Club offers restaurant/bar services and WC facilities. Located approximately one-kilometer away from Pine Cliffs Residence Resort, the beach may be reached via a ten-minute walk or the resort’s complimentary train. All prices are per Night for the accommodation only. Check in is from 16:00 on your arrival day to 10:00 on your departure day.